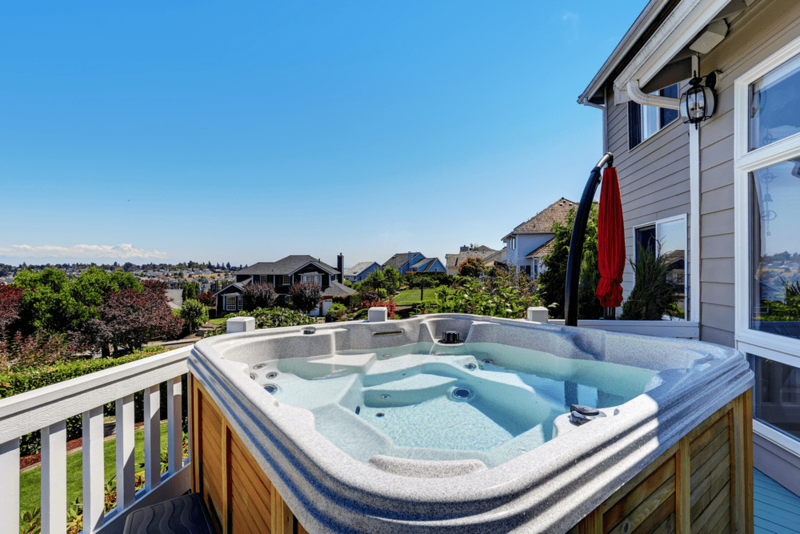 If you want to have a yard that looks like it is maintained by a professional service, then you will have to spend time regularly trimming the grass and weeds. Cordless string trimmers are becoming more popular. They are lighter than gas counterparts, and easier to maneuver. We have reviewed below 10 of our favorite cordless trimmers for 2019. Depending on the size of your yard, you may spend 15 minutes to an hour trimming weeds and edging. You want to have a trimmer that will be easy to use and will make the most of your time. Check out the products below and see if any of them are appealing. 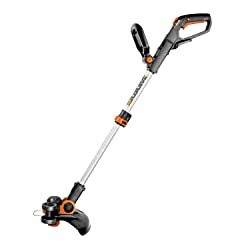 This Black and Decker trimmer is a cordless trimmer that runs on a 20-volt lithium ion battery. It is part of the Black and Decker POWERCOMMAND family of tools. You can use this trimmer at two speeds which gives you more control and power for extended periods of use. Unlike older weed wackers, you do not have to bump this product on the ground to advance the trimmer string. With this trimmer, you can advance the trimmer string by a simple press of a button. This trimmer gives you a 12-inch cutting swath and can adjust the handle height to fit your personal needs. 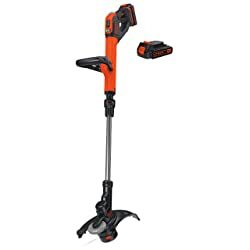 I like this product because it can convert from a trimmer to a wheeled edger. This gives you the most flexibility to care for your yard with a single tool. This combination kit gives you two products for the price of one! It includes a trimmer/edger handheld tool and a sweeper handheld too. Both tools run on the Black and Decker 20V MAX lithium ion battery which will hold a charge for up to 18 months. This product includes a single 20V MAX lithium ion battery. You can set the trim height on the trimmer based on the needs for your yard. It has a 10-inch diameter cutting swath. The trimmer head flips 180-degrees to allow you to edge along your sidewalks and other concrete areas. The sweeper tool included in this product is lightweight at only 3.7-pounds. It has a blower speed of up to 130mph (miles per hour). Black and Decker offers a 2-year limited warranty on this product. I like the Greenworks cordless trimmer the best because it has more power than other similar products. 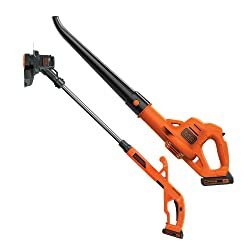 This trimmer uses a 40V battery system giving you 2 times more power than most cordless trimmers. It includes a variable speed trigger to give you additional on-demand power. The battery will last for up to 30 minutes of run time. It has a 12-inch wide cut swath and has an automatic line feed feature that doesn’t require bumping the product on the ground. Greenworks offers a 4-year warranty on the cordless string trimmer and a 2-year warranty on the battery. This Worx product gives you two functions in a single tool. It is a trimmer for your grass and tall weeds and it converts into an in-line edger with no tools needed! This product includes two 20V lithium ion batteries which allows you to charge one while you use the other. This trimmer has a 12-inch cutting radius and has an on-demand line feeding spool system. Worx offers a 3-year warranty on this product. This is a budget-friendly option you can get for under 100 dollars! This Black and Decker product includes two 20V batteries which allows you to use one while you charge the other. 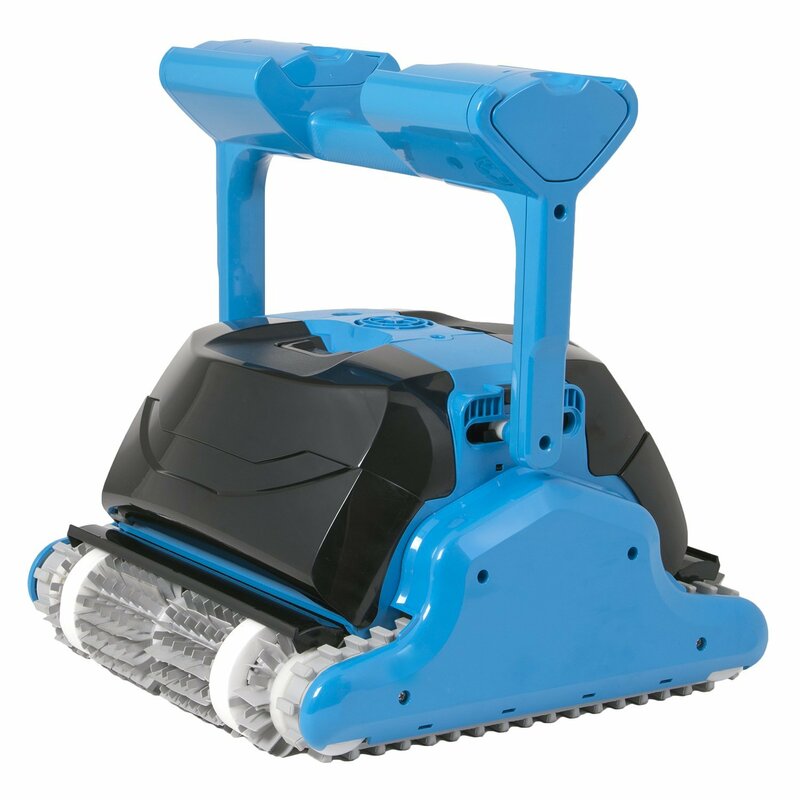 It converts from a trimmer to an edger and has a power drive transmission for increased torque power. You have a 2-speed control which allows you to use more power or increase your run time. This trimmer cuts a 12-inch swath through your grass and weeds. You can advance the line with a simple push of a button. You don‘t need to bump the trimmer on the ground to advance the line. The adjustable height and handle features on this trimmer give you many options to make sure you are comfortable while using the trimmer. Black and Decker offers a 3-year warranty on this product. 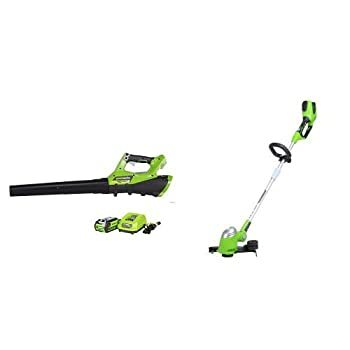 This Greenworks product gives you a cordless string trimmer/edger and a jet blower in a single package. The trimmer and the blower have a simple push-button electric start. The trimmer has a rotating head which converts to a walk-behind edger. 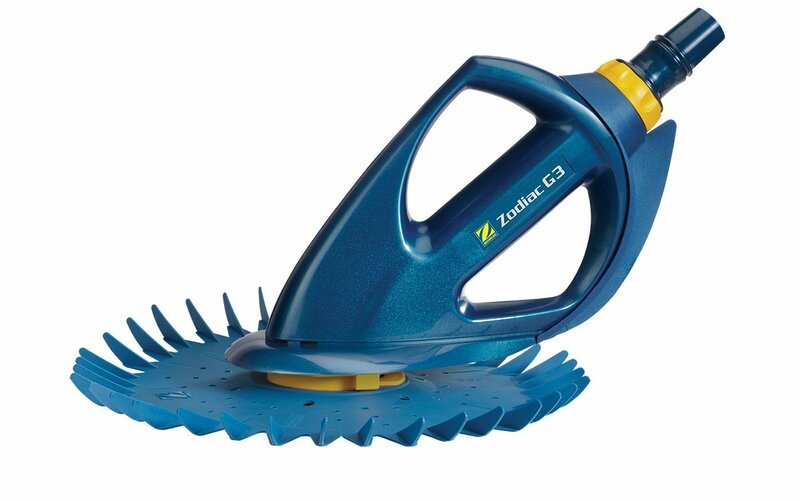 This trimmer has a flower guard which will keep the trimmer line safely away from your plants and flowers. I like this trimmer because it has a wide 13-inch cutting path. This is wider than many of the standard products I have reviewed. A variable speed dial on this trimmer gives you flexibility and control over how much power you need for trimming. It even has a cruise control if you want to just set your power speed and trim without thinking about it. 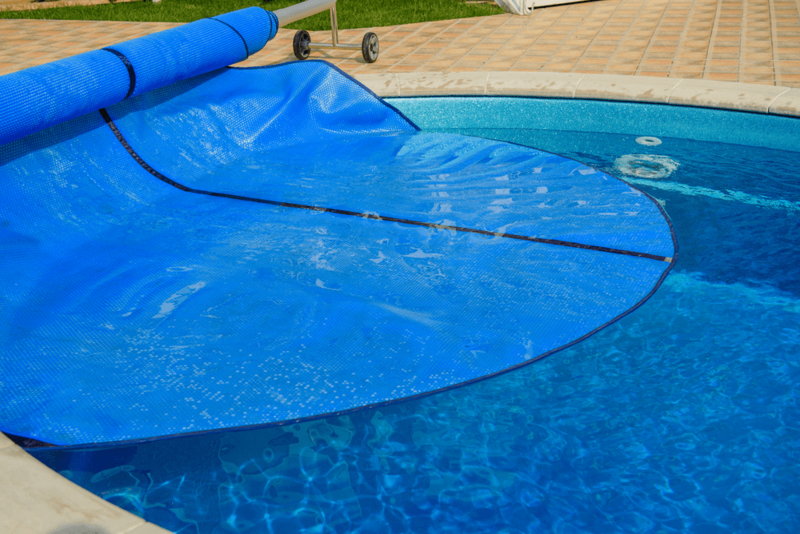 The cordless axial blower runs at a maximum of 110mph and 390cfm (cubic feet per minute). This powerful blower runs on a 2 Ah battery. The battery and a charger are included in this product package. 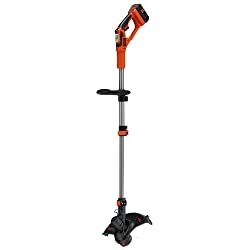 The Worx WG154 cordless string trimmer runs on a 20V lithium ion battery. The trimmer has a rotating head which easily converts into an edger within seconds. 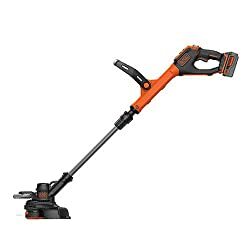 This trimmer has an adjustable cutting diameter which allows you to cut a 10-inch path or a 12-inch path depending on your needs. This trimmer has an automatic single line feed. You don’t need to bump the trimmer to extend the line. A foldable spacer guard will protect your fence, plants, and flowers from being damaged while you are trimming. 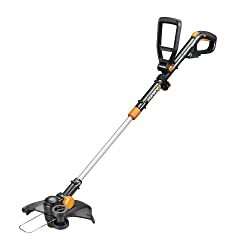 Worx offers a 3-year warranty on this product making it a great choice in cordless trimmers for under 100 dollars. The Black and Decker LST136 cordless trimmer runs on a 40V MAX lithium ion battery. 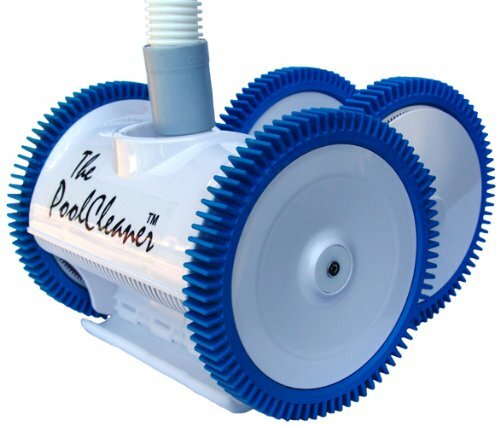 The patented Automatic Feed Spool makes sure that the line continuously feeds without bumping the trimmer on the ground. This trimmer can cut a 13-inch wide path and can convert into an edger in seconds. Two speeds allow you to select maximum power or maximum run time for the trimmer while you are using it. 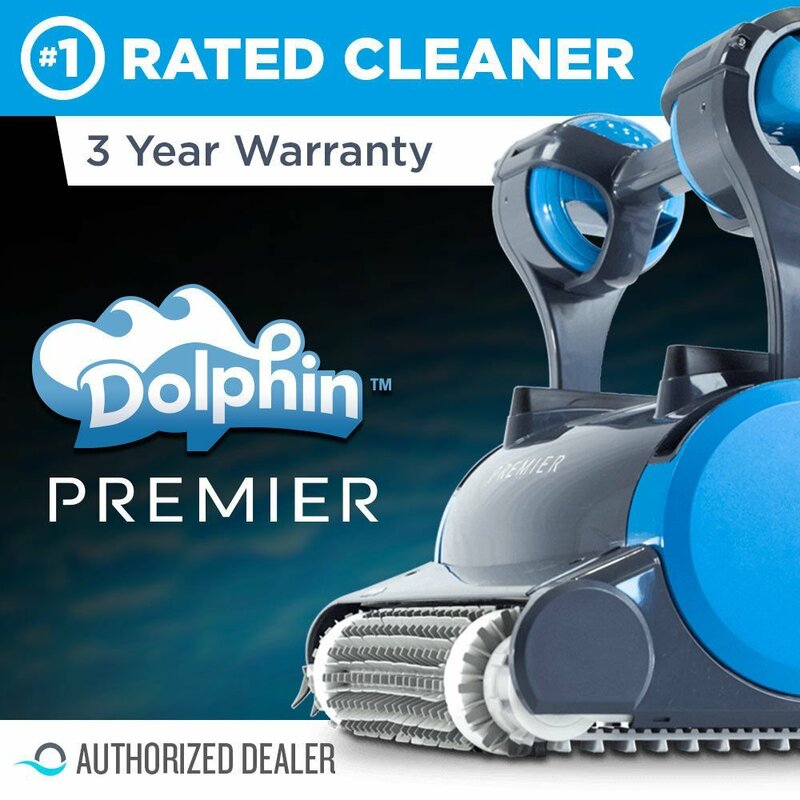 Black and Decker offers a full 3-year warranty on this product. The Worx GT Revolution is a 3-in-1 product. 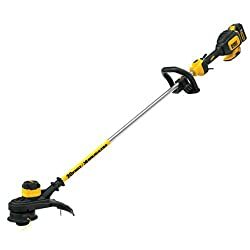 You can use it as a string trimmer, an edger or a mini-mower. The patented Command Feed technology automatically extends line as you need it. You never need to stop what you are doing. This trimmer runs on a 20V lithium ion battery. The trimmer has a 12-inch cutting diameter. A safety guard makes sure to protect you from flying debris while you are trimming. There is a flower guard that will protect your fencing and plants as you trim close to different objects in your yard. You can place the handle in 7 positions depending on your ergonomic needs and comfort. 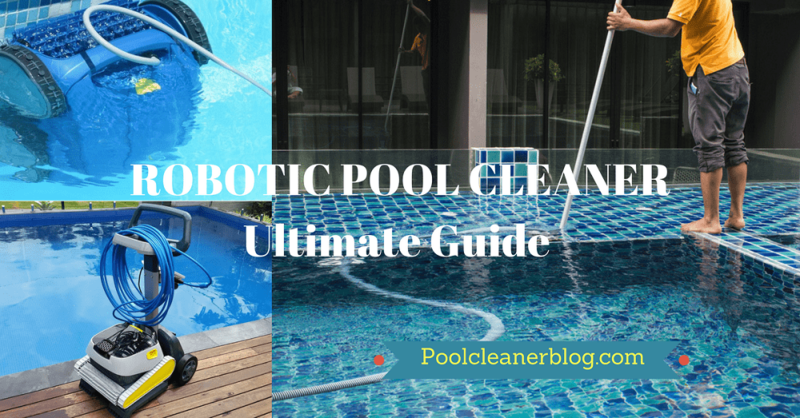 The telescopic shaft will adjust to your height and posture. Worx provides a 3-year warranty and a 30-day guarantee on this product. The Dewalt DCST920P1 trimmer has a high-efficiency brushless motor which maximizes run time and motor life. It runs on a 20V 5.0Ah lithium ion battery. The 13-inch cutting diameter allows you to cover more area in your yard in less time. The trimmer has a variable trigger with high and low speed control options. This allows you to choose between additional power or extended run time. 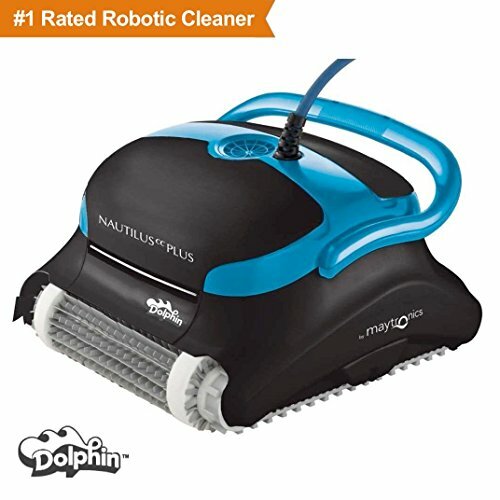 This trimmer does not have an automatic or controlled line feed. You have to bump this trimmer on the ground to feed more line out of the spool. Dewalt offers a 3-year limited warranty on this product. They also give you a year of free service if there are any issues with the trimmer. This is a risk-free economic choice for a cordless string trimmer. When searching for a cordless string trimmer, you need to consider some general features before making a decision. There are many types of string trimmers available including cordless, electric and gas-powered. It is important to make sure that the string trimmer you choose is cordless. They are lighter, easier to maintain and do not require fuel to run. Below are some other guidelines to follow. Most cordless trimmers use lithium ion batteries for power. Batteries rated from 40V to 80V will provide more power than their lower voltage counterparts. If you have a small yard, a 20V battery powered trimmer will be enough for you. 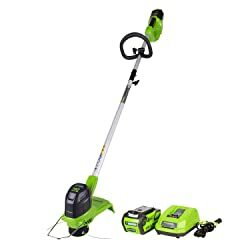 Larger yards will require a higher voltage power for you to complete your trimming all at once. Consider the size of your yard and the voltage of the trimmer before making a choice. Trimmers can cut a path anywhere from 10-inches in diameter up to 14-inches and more. If you have a lot of tight spaces in your yard that need trimmed, you may want to consider a trimmer that has a smaller cutting swath. Will you have several people who will use the cordless trimmer? Then you want one that has a multi-position handle. An adjustable telescopic height adjustment feature is equally important This allows everyone to adjust the trimmer based on their ergonomic comfort and height needs. Safety shields are important for any yard tool. Make sure the trimmer you are considering has safety shields in place to protect you from flying debris while you are trimming your yard. Bump feed – With a bump feed trimmer, you literally bump the trimmer on the ground in order to force the line to advance. Button controlled – Some trimmers have a button you can press that will advance the line in a semi-automatic manner. Automatic – There are some manufacturers who have discovered how to advance the line automatically based on patented technology. The bump feed is the oldest and most reliable method. If you want to try something new, then look for a trimmer that has an automatic or semi-automatic line feed feature. There are many features to consider when searching for a cordless string trimmer for your yard. 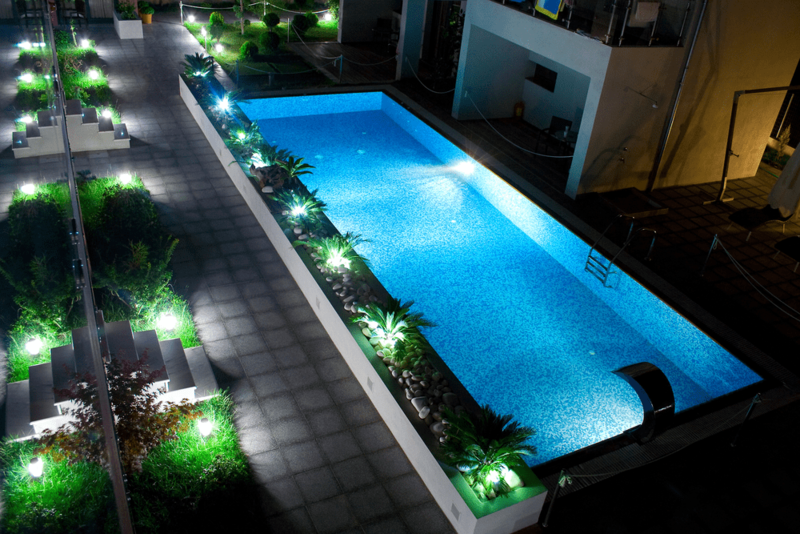 With so many trimmers available, you do not need to be overwhelmed by the choices. The guidelines above and the reviews of our top 10 favorites should give you all the information you need to make an informed decision.